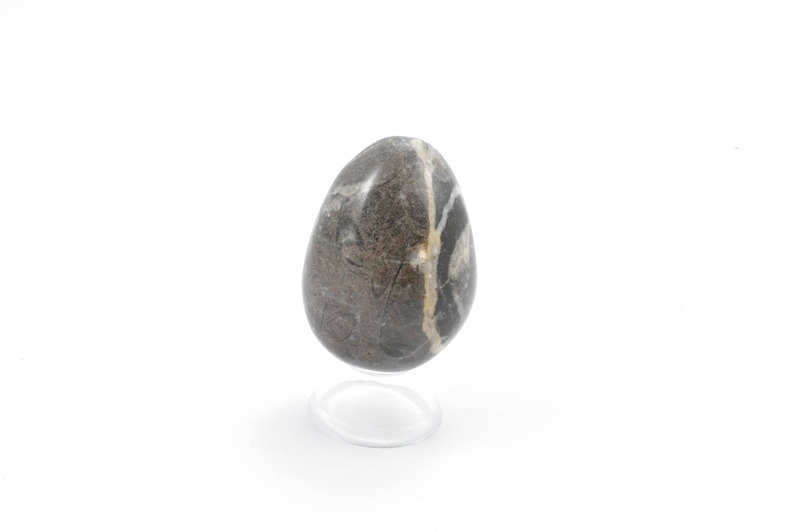 This ancient fossil egg is a beautiful pieces to add to anyone's collection! 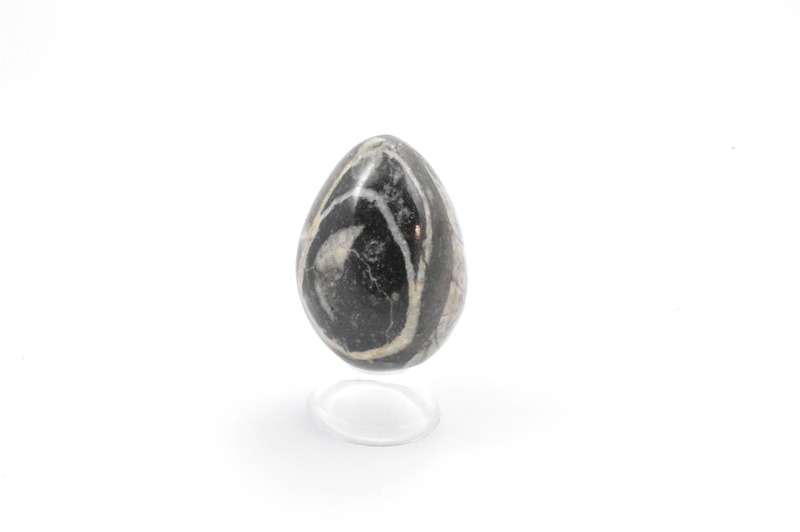 It features a fossil mosaic of Nautiloid and Goniatite and is a unidentified specimen from the Devonian geologic period and system of the Paleozoic, spanning 60 million years from the end of the Silurian, 419.2 million years ago and is approximately 380 million years old and is from Morocco. Fossils can help increase accomplishments in the area of business and add excellence to one's environment. They also aid one in being open to change and new ideas. 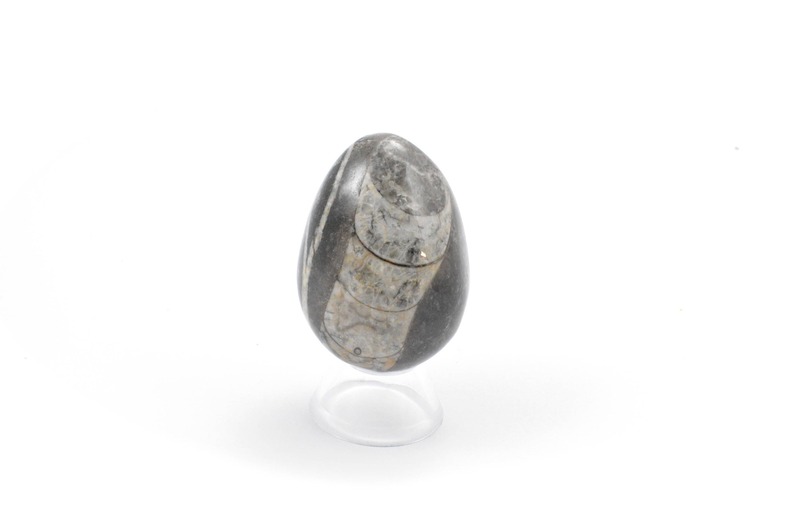 Traditionally, fossils have been used to aid in curing diseases and ailments of the skeletal system, bones, hands, and feet. Please note that healing crystal meanings are spiritual supports to healing and are not prescriptions or healthcare information.